Yes, I know this is a movie review website, but I just have to take a moment to tell you about one of the funkiest, realest, and downright coolest people on the planet. Her name is Kawehi. She is incredibly creative, she makes music with a style that is as sassy as it is sophisticated, and her live shows are the type of communal experience you do not want to miss. As you can see by the video above, Kawehi is a master of the mash up and has a knack for knowing how to make any song fit her unique style and personality. Aside from this amazing talent, she also creates her own songs from the ground up and, stylistically, is so far ahead of the game, it will take years before pop music comes close to matching what she is currently capable of. 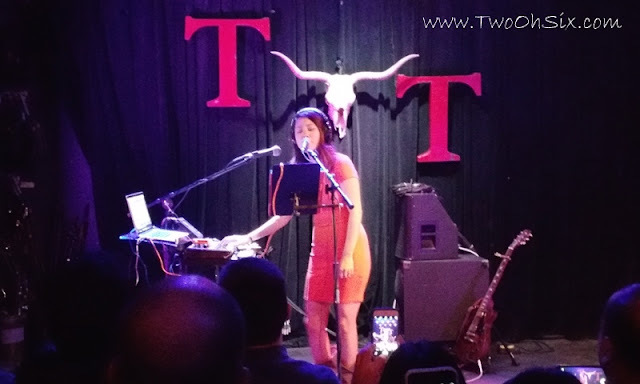 When it comes to performing live, Kawehi gives you everything she has and takes no prisoners. She adores her fans as much as she loves making music and makes sure everyone is having as much fun as she is during every show. 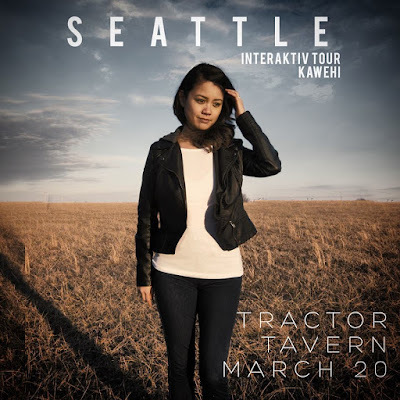 I have now seen Kawehi perform live on two different occasions and, during her most recent show at the Tractor Tavern in Ballard, I was actually most impressed with her overall growth as an artist. She filled her set with original songs from the newly released Interaktiv EP with Pop Song being a big crowd pleaser along with Troll, the internet hater bashing anthem from last year's Evolution. Other than Anthem, the aptly titled hit single from her 2014 release Robot Heart, her set was filled with nothing but new music and stuff she hadn't previously performed and the crowd appreciated every moment of it. To top things off, Kawehi always stays after the show to meet her fans, take pictures, and sign autographs for anyone who wants to stick around. She loves what she does and it shows in every aspect of who she is as an artist so, if you have a chance, drop everything and go see her when she comes to your town. You may even end up in one of her soon to be infamous selfie videos! One last thing. I just discovered the brand new video for Pop Song and, of course, it was created using one of my all time favorite filming techniques. The entire video is one long tracking shot with no edits or cuts anywhere from beginning to end. It's almost like Kawehi knows exactly what I want to hear and see before I have a chance to think of it myself!